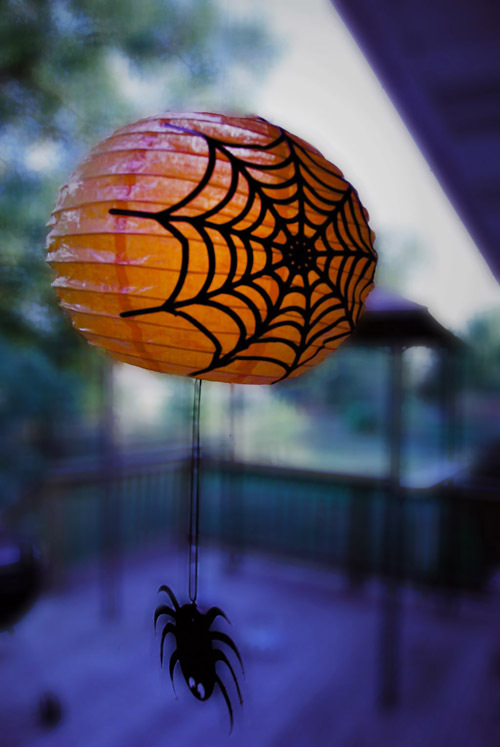 Halloween Paper Lantern Decorated with Paper Spider Web and Paper Spider. Fall is now officially here. The leaves are starting to turn colors, and the temperature is getting crisper. Decorate your home, and delight your children with easy to make Halloween paper lanterns. I used spray adhesive to attach the web to the lantern, but mod podge would also work. Punch a hole in the spiders bottom and attach a black ribbon. Tie the ribbon to the bottom of the lantern. Enjoy your cheap and easy Halloween paper craft project.